Article Source: Cat Separation Anxiety: What Are The Causes, Signs, And Possible Treatment? I just want to add a couple points to this article to reflect my own preferences and information I know. The info in this article is great to start. I would not have accepted it here if I did not feel it had virtue. 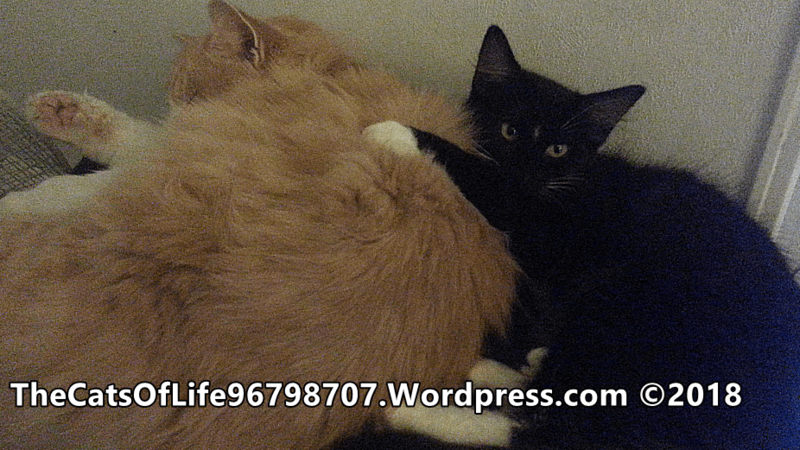 Here are a few points added by me as The Cats of Life’s Crazy Cat Man. You will also find a video on this topic there soon. I shot some footage for it today. You can search online for ways to lessen separation anxiety, and the proven techniques will usually be for dogs. The cat world’s pundits have posted a Vlogs on this very topic. These are not always factual or thoughtful, and may just be videos of their own cat howling (I have one of those below). On the other hand, this person has put some thought into it for her video, and I present it here for your viewing. After the video, I want to address some issues and observations on my part, and will include a link to my video version as soon as it is posted. The source she read from covers quite a broad selection of symptoms. HERE IS A LINK to the site she mentioned. Let me present my experience with those issues. I have had some of the listed issues with my cats, but temperament generally plays into it as well. You have to realize that certain breeds have characteristics that might otherwise be seen as anxiety issues. You will see in the headings below that most of my cats seem to exhibit signs of SA at different points and for different reasons. It is not only SA. 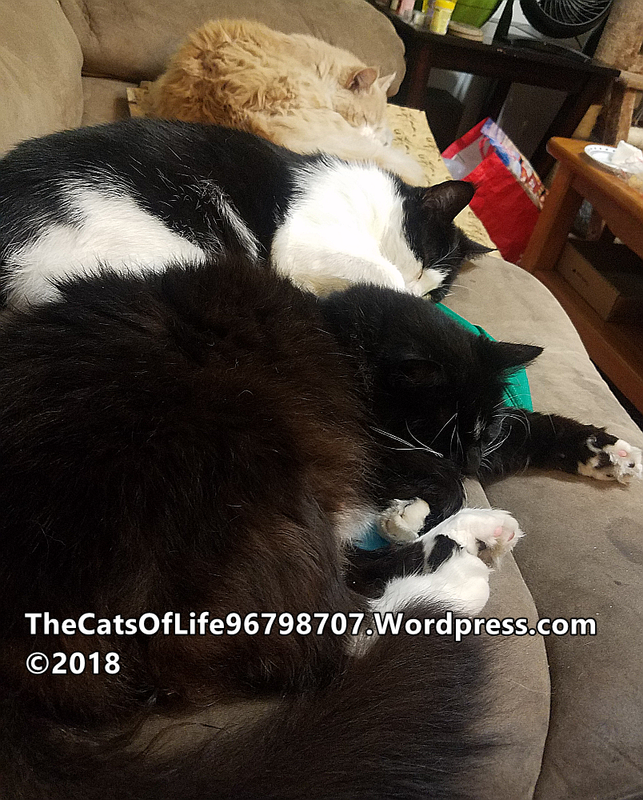 My Turkish Van and half Siamese are both high-strung breeds that tend to cling to someone and want to track them. Both of these cats have to check on me over and over when I am not in their sight. It is not compulsion, but habit, behavior, a developed trait that is reinforced by my response. I always pet them and thank them for checking on me, which may make it worse, but it is not just from SA. I am sure some of this has to do with being in a multiple cat household, but that is a trait of the breed as well. They can be clingy, even if you only have one and stay at home full time. One way to test this is by asking, does your cat like to go outside alone? Do they go off on their own in the home and keep busy doing what they want (not hiding and sulking)? It may be part of their temperament. It could also be due to diet or health issues if it is something new or irregular. 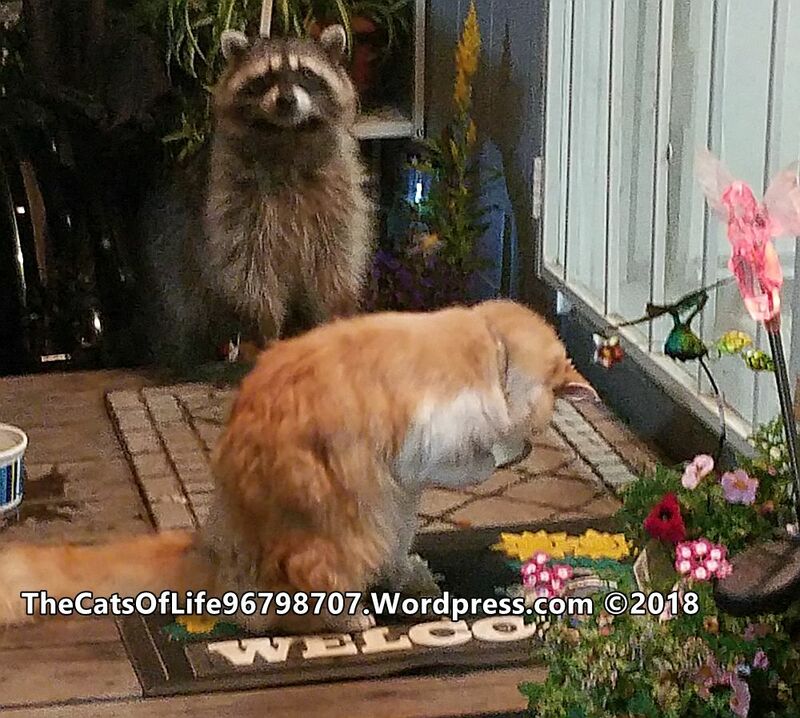 Of course, I am not a vet or specialist, but I find that even my “clingy” cats love to go out on their own and ask to go outside every chance they get. The stress they get is from not letting them outside when they want to go. I also bring up the idea of breeding (notice I put “ING” in parenthesis since I deal with breed AND breeding experience). You may not know how they were weened, access to the mother, how the mother treated them, whether they had been shunned by others, etc. It could be a learned trait that can be unlearned. If this developed in a kitten mill or inexperienced breeder (i.e. a kid forgot to keep their unaltered female indoors), there may even be issues with inbreeding or mistreatment as a result. That is when shelter cats can be a better bet, even if they have issues. It is thought that kneading and nuzzling such as in THIS VIDEO go back to their childhood and weening. Heck, I have a cat that does this to blankets she likes, and when she comes to bed with me and I have a soft blanket. In fact, even meowing can be attributed to that process because cats do not usually meow at each other. Once they are weened, they find that meows do not stimulate a response from mother and does no good anymore. Your response to cats meowing and rewarding them for their actions retrains them that mow now means something. Behavioral modification can take care of many issues any person or pet has. Reassurance and accommodation can alleviate some of the problem, thus making the symptoms and conditions easier to deal with. Also, when it comes to changing routine to mix up the separation process, I do not agree. I find that some of my cats can stress if I change ANYTHING about my routine, even when and how I turn lights on and off. I have one cat that loves to follow or lead me (I call it her prancy dance because she does weird stuff going down the hallway with her strut) and in the morning she expects me to turn off the hall light as soon as I get past the bathroom door. If I turn to go in the bathroom, she still heads toward the light switch. These are learned responses, like Pavlov’s Cat (I know it was a dog, but this is a CAT blog). This feeds into the temperament they develop. If you are not an original owner, there will be issues at first that can be dealt with. If your cat is just getting older, then it may be developing stress from change. i don’t feel it is beneficial to change your routine. Cats count on it, just make it positive to modify behavior. People do not realize how sensitive cats really are. They do not like change, and what is the most common change they endure? Daily activities that are not followed in routine. I mentioned above about a couple cats I have that follow me around. Those are two of my sensitive cats, as well. The Van tends to acquiesce to other cats just to avoid conflict, but will brave this issue to get to me and get some attention. Although she doesn’t like scooting past a cat or two at times, she will still come be with me, no matter what I am doing. Yes, no matter WHAT I am doing. Even waiting outside the shower curtain. If you speak sternly to them, don’t feed them at the same time as other cats such as giving treats to others and not them (even if it is because you did not see them there), or even add or move furniture (mine have to explore new boxes I leave out for them but sometimes do not like it), they will tend to cower or react. You MUST be careful how you act. No sudden noises if possible, don’t blast the music when they are next to the speakers, don’t hide cucumbers next to them to startle them, don’t blow smoke in their faces, etc, etc. It may be assumed that hiding, sulking, meowing, and rubbing prior to you leaving is due to SA. What about just wanting to go outside? They may be upset for another reason because your routine does not include a good bye or toy or treat or whatever they may want. You cannot assume just SA, even if that turns out to be the reason. Spend a little time for your special family member to identify the source of the issue. Maybe even do a hidden camera as in the video I will embed below. Even though they seem so independent, Cats prefer a gentle touch and soothing tones. I can roughhouse with mine because they are used to it, but I was reminded last night that it is not the norm for cats. There is a cat that keeps showing up at the door and sits to stare inside. My cats do not like it and will growl at it. I will post a video of that on My YouTube Channel, and they sometimes get worked up over it. Usually, the cat sits there facing my direction somewhat swishing it’s tail, which is a guarded or superiority signal. The cat decided to let it’s guard down and rolled over on its side near me. I had been petting it just a bit, on a limited basis to get it used to me touching it. I took rolling over, usually a sign of submission, as an invitation to touch it but got swat back and had to wash off the spot where it got me. I know, you can comment about cat-scratch fever (condition or song), tetanus (which I am current on), bacteria and other germs (I washed it well), and healing experiences you have personally had from getting swat. I think it would be good to post these as warnings to new cat owners so feel free to run down there right now to comment, then come back when you are done. Cats are sensitive, loving, and caring creatures. They want to be sure you are safe and happy, and that they have some security. 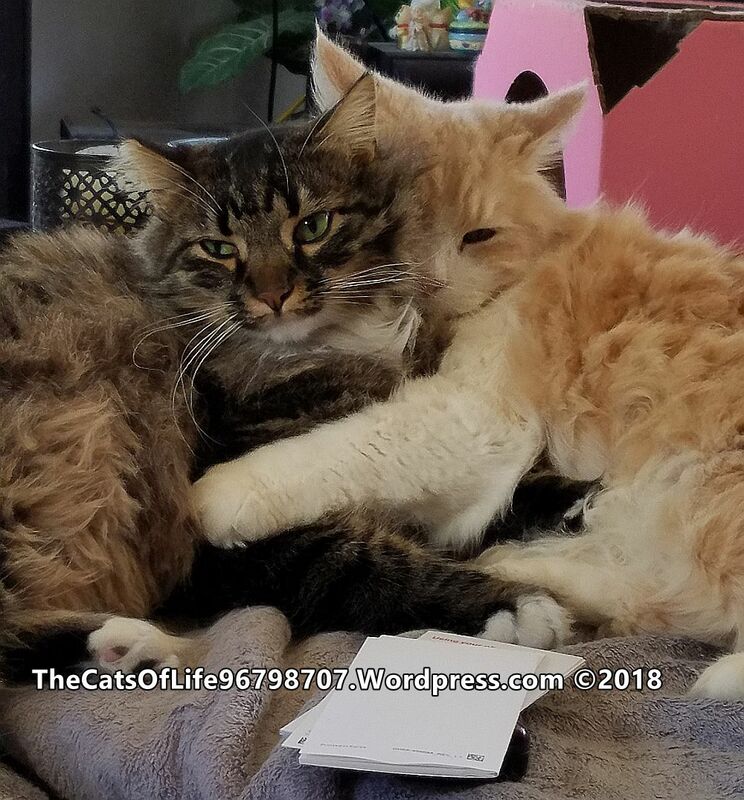 This type of issue can also lead to problems like hiding in a cat box (not from SA) or pacing and grooming from issues with other cats or environmental situations. Even if I happen to play video of cats playing or making noise such as THIS VIDEO (I also believe this can be from SA because you can see when the cat smells where an owner is or was with the camera), they look around to see where that cat’s sound is coming from. Last night I was watching a heart breaking video of a cat walking around carrying a toy and meowing like it was lost. It is presumed to be SA because it goes on for nearly 45 minutes. I will post that video below for you to see. It can be disturbing so be careful viewing it. The point is, ALL my cats came in the room, even from the bedroom, looking for this phantom cat. This shows their concern and the fact that this cat in the video was very distressed. We almost forget what we learn from cat body language and vocalizations. They are unique, with over 100 sounds while dogs have fewer than 30. Many think a meow is a meow. Not so. I will cover this topic in other entries and videos as well. Just because a cat becomes a bit more clingy, it does not automatically mean they suffer from SA. They can be just as moody as people, and may just be happy to see you. Maybe your cat is bipolar. This does not mean a dog has SA just because they miss you and jump on you when you return. It is the same with the cat. We are just not used to seeing cats so happy to see someone. That makes us think something is wrong. There could be some issue with boredom or just being lazy all day so they want some activity. Some, such as Jackson Galaxy or the Pet Coach, might tell you to ignore them for a while. That is based on a reward system. Cats DO NOT respond as well immediately to reward systems. Sure, after time they develop a habit that is successful for them, but that is a trained response. I once heard a cat trainer say it can take a year to teach a cat a single trick. Your cat may need a lot of time to unlearn the trick. My response to the cats greeting me is one of gratitude and welcome. One way I know it is not SA with them is that it is not regular nor consistent. If you are going to have a problem connected to SA, it seems to me there would be some semblance of consistency, even if not 100%. In fact, my cats greeting me rotates, so no one cat participates more than about 25% of the time in excessive greetings. 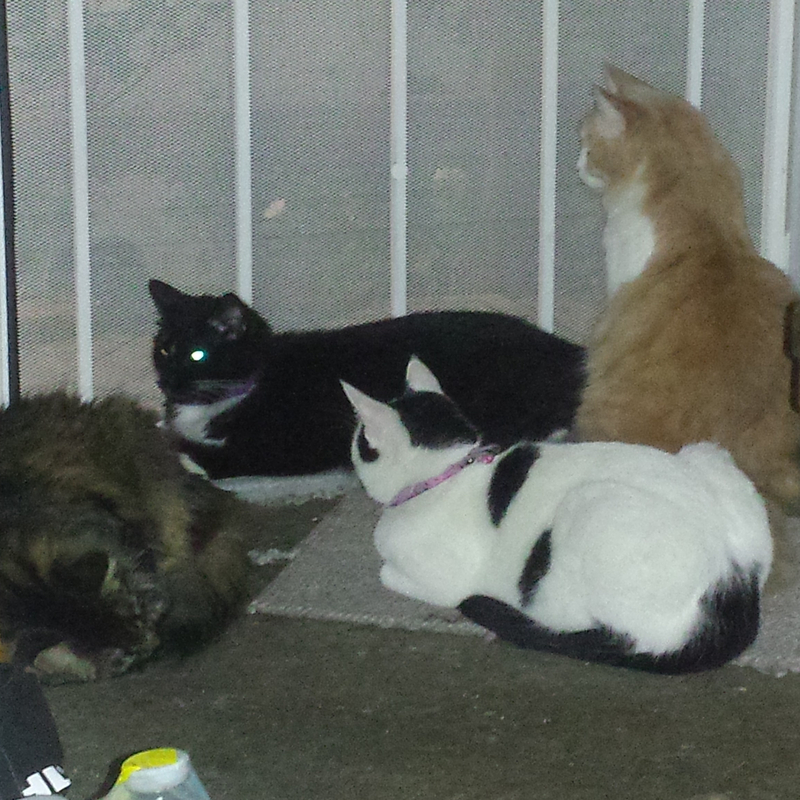 I think part of it is that they want me to let them out since I already opened the door. Don’t assign all ailments to SA. This is dangerous because there could be health or psyche issues that need to be dealt with. It is not good to assume anything. You could be harming your cat by diagnosing the issue yourself or based on Blogs and YouTube videos. If you think the frequent urination or defecation outside the box, is from SA, I say you need to take them to a vet to be checked out. There could be diabetes and urgency problems, kidney or bladder issues,or physical problems such as painful hips so they cannot get into a box with comfort (may need a ramp for a solution). Try a vet. If they are being destructive, I would say they may need behavioral modification such as adding scratch posts and putting foil on the corners of your furniture. Give them toys, play with a string toy for 15 minutes or stop just before they start panting. Destruction can be a sign of boredom or dissatisfaction, not just SA. If activity (not associated with leaving or your return – just for play time not associated with anything else) does not cure the issues or help alleviate them, try a cat behaviorist or vet. Also watch my videos and blog for suggestions and tips. Anxiousness, vomiting, and excessive grooming could be from other nervous situations, allergies to diet, pests, or other stress you could me missing if you simply pass it off as SA bcause of what I or a couple other internet pundits say. I say vet, vet, and groomer. Learn how to keep their hair short, get hairball remedy in a toothpaste tube, check content of the food such as chicken or grains, and check for noises or environmental issues you might otherwise not notice because you block them out. Never block out something that might bother your cats. Good luck, and I hope you never have to go through this. I have learned a lot from my cats, but have always been able to make them at ease and keep them acting happy. They get upset and scared, so don’t be mad at them. Be loving. Those are just my added tips to an important topic you should keep in mind. Don’t just take my two cents, check with others, such as this VET VIDEO dealing with the condition.